Sadly, it was announced that Rdio has kicked the bucket. Being proactive, I thought I’d jump ship early. As it turns out, I’m pretty serious about “my music”. It’s something I think about and listen to everyday. So what happens when I have to move “my music”? Well, first we have to decide where to jump ship to. Read the Rest... This post currently has no responses. 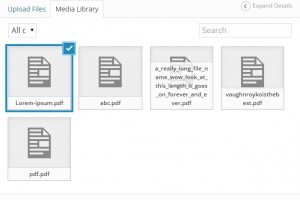 If you are like me, you feel like there is a lot to be desired for how uploaded filenames look in Wordpress. Don’t get me wrong, it does a decent job in terms of making them web-safe (sometimes? ), but for actually making a standardized, consistent structure across everything – not so much. Read the Rest... This post currently has 6 responses. Some back-end things are a pain, especially making custom classes for elements in the WYSIWYG editor portion of Wordpress. Say for example, you want to add in a “pdf” class to links you add, so we can custom style them on the front-end. Read the Rest... This post currently has 3 responses. Offline storage is one of the best parts about HTML5. No longer do you have to always send client data back to a server where we have to communicate back and forth if we don’t need to. Say we are saving some user preferences for an app, or saving some game data on close/exit. Say you are working on a document and accidentally close or refresh the tab. I’ve been really loving Brackets lately. 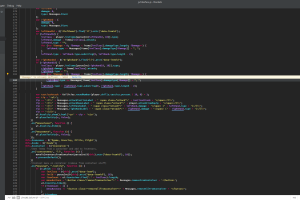 I hesitantly made the switch from Sublime Text 2/3 a couple months ago and it was quite a rocky start. I expected as much, as I was getting in on the ground floor so to speak since Brackets is still very much a work-in-progress editor that gets monthly updates. Read the Rest... This post currently has 7 responses. If you’re a lot like most Wordpress builders and users, you only use like half of features of what is in the default Wordpress admin menu. If you are building a site for a client, sometimes they use even less, a lot less. It makes sense to streamline this workflow for yourself and them. Read the Rest... This post currently has one response. If you’re used to Wordpress, you’re also used to it putting a paragraph around your images. This can cause some issues when trying to align something, especially when you are trying to center something. 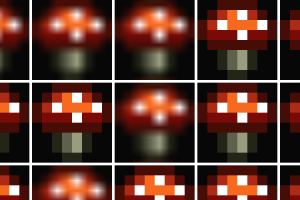 Nearest-neighbor interpolation is the bread and butter of pixel art and a staple for many indie games. It’s what allows us to create crisp and sharp pixelated graphics, responsively without exporting all our graphics upscaled via image editing software. So, Do We Have A Cross-browser Audio Format Yet? Short answer: Nope! Oh, you’re still here? It was a happy day when Firefox 21.0 was released. 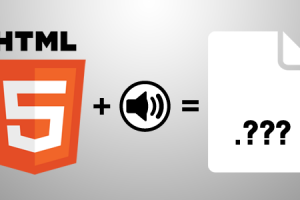 A true day of celebration for HTML5 and audio aficionados everywhere! Why? Because we were finally granted MP3 (MPEG) support! That’s right, all of the major*, updated browsers now support** MP3 audio via HTML5***! My colleague came across some quirks with the less commonly used :after and :before pseudo elements. .find() seems to get a bad rap. Some people state that selectors are WAY better for performance, some people say that .find() is. Well, actually both can be true. Not only depending on what amount of elements you are searching, but HOW you are selecting or finding them as well. Read the Rest... This post currently has 2 responses. If you’re like me, or thousands of other people, you like to develop Wordpress sites via localhost solutions. But when it comes to moving your site online to show clients or the boss, you just know there is going to be a long back-and-forth process of changes, improvements and tweaks to the site. 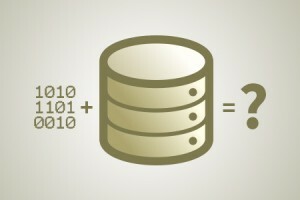 Although localStorage is not very popular (due to size browser sizing constraints and lack of consistency), it can still be a great (and fairly cross-browser) way for storing lots of data. About 2.49-4.98MB worth depending on the browser. Read the Rest... This post currently has 37 responses. Fading in a website background image is not generally an easy task. This is because there’s no opacity state for background images in specific. Fading a solid background is pretty easy using RGBa – not so easy for images. There’s also the issue of when you change the opacity of body (or wrapper) element, everything inside (or the children) are effected as well. In this example, I will be using jQuery to animate the effect. Read the Rest... This post currently has 4 responses. Read the Rest... This post currently has 5 responses. Vertical alignment is a pretty weird thing. It usually only works within table elements depending on the browser. It’s even harder to get working when you are using floats. There’s a cool work-around that is available at your disposal if you do need to use vertical alignment. Vaughn Royko © 2019. Powered by Wordpress.